The George Eastman Museum is the world’s oldest museum dedicated to photography. In June I was honored to be invited to speak there, on a topic of my own choosing. 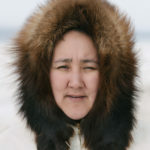 Though exciting, I began to think about my work with indigenous issues– how to frame them for a general photographic audience who is generally unfamiliar with cultures as different as those of the Arctic? If I want to speak about embedding within Native communities to a primarily non-Native audience, then I will have to address the complex issues of outsider photography. On some level, unless the work is deeply personal and of one’s self or family, you can refer to all photographic endeavors as outsider photography. I think the bigger question is how do you develop true empathy when you are photographing another person, another community, and especially a different culture? What is outsider photography then? I think it has a lot to do with time and space. There must be time to overcome one’s personal cultural beliefs. There must time to experience things when they naturally occur. There must be time to listen and observe and experience without the camera. And finally, when you begin to shed your own cultural skin, I believe you must participate. It’s like learning language. At first you are translating words in your head, and then the one day, one fine day, you begin to think in this new language. Concepts only understood in this new language begin to make sense. And even when you switch back to your native tongue, you are different, you are changed. That’s cultural immersion, and that is the bar I would like to set for documentary photographers. 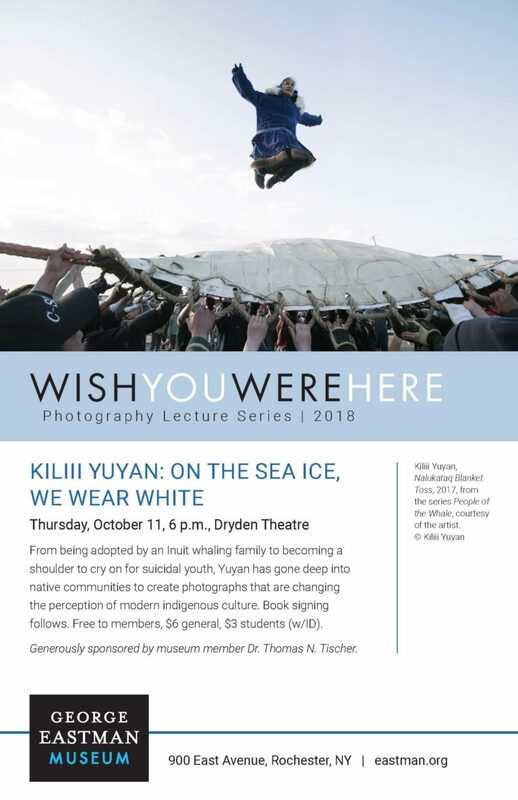 I will of course, be showing and speaking about my specific projects, from whaling with the Iñupiaq and enduring polar bear attacks, to supporting suicide-prone teenagers on remote outposts in the Arctic. We’ll also the responsibility of creating new narratives of indigenous communities. I hope that talking about my process will engage and deepen the audience to the cultures of the Arctic. Great news. Wish I could attend. Should give you valuable exposure and a chance to educate people about your work, thinking and philosophy. Interesting part of the country, near the beautiful Finger Lakes and original homeland of the Iroquois.